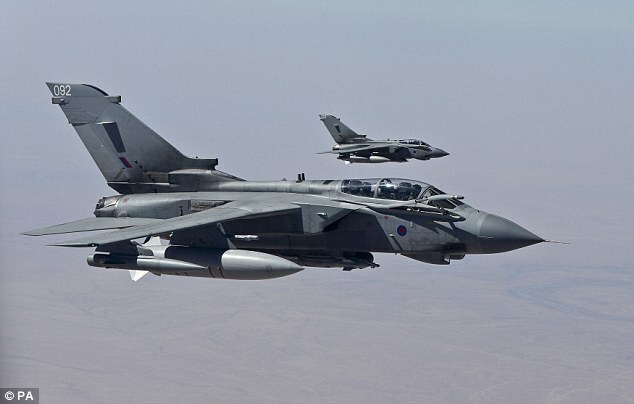 The United Kingdom and Germany have been the latest powers to join the war in Syria though Germany’s contribution will be in ground forces and aerial reconnaissance operations. The UK’s decision has stirred up a heated debate about whether this is the right line of action that should be followed from London, or any other country for that matter. Back in 2012 I stood vocally against intervention in Syria and actually predicted much of what is happening today. I still stand by what I wrote back then but one needs to take into account that things are not quite the same as in 2012, the Syrian conflict has become much more complex. For example, the overthrow of Bashar al Assad’s remains an official aim but is currently not the primary one. Rather, the countries involved argue they are in to combat the so-called Islamic State (IS). The question is whether the followed strategy can actually achieve its aims which presumably are the defeat of IS, the overthrow of the Assad regime and the post-conflict reconstruction of Syria. Given the complexity of the conflict and how its character has changed over the past two years it is undeniable that military operations should be part of the solution; though we shouldn’t forget that foreign involvement is what exacerbated the problem in the first place. In what follows I lay out a few of the reasons why I believe the intensification of airstrikes cannot bring about the desired outcome, particularly in terms of defeating IS and stabilizing Syria. Be terrorized and apply limitations on people’s everyday life and freedoms in the name of security. Crack down on Muslims, often indiscriminately, thus fueling Islamophobia which in turn IS uses to justify its actions and vindicate itself. Re-act hastily and with a sense of panic, thus allowing IS to claim a win and use it to recruit more fighters. Actually taking military action, importantly conducting airstrikes, against IS, in Syria – and Iraq. Through the publicity IS gets out of most of the above, it gains global substance and free advertising of its existence and cause. In terms of IS’s pursuit for military confrontation with external powers, only few analysts have pointed out that IS’s terrorist attacks do not really aim to deter the involvement of other countries into Syria but to rather provoke it. Few understand that, though an entity with a largely rational leadership, IS is characterized by a strong religious-ideological, teleological vision. They believe that the great war between Islam and the “infidels” is near. An “Islamic Armageddon” where, according to their scriptural interpretations, they will defeat the West – the source of all evil – in Syria before the final confrontation “with an anti-Messiah will occur in Jerusalem”, as Graeme Wood puts it. From a tactical point of view, a long-term war of airstrikes against IS will prove unsuccessful in defeating it and even more so in addressing the issue of asymmetrical threats which is a mostly political and social problem with ideological extensions. It will also cause the same problems that the post-2011 “War on Terror” caused: economic blow-back due to massive defense spending; political and social polarization withing the involved countries; difficulty to step away from the quagmire of the war; further destabilization of the region. Geopolitical interests which have to do with spheres of influence, power projection and economic benefits. Business and corporate lobbies that want a share of the pie – whether natural resources or post-conflict business contracts. Defense industry lobbies should also be taken into account as the main beneficiaries of such crises. Public opinion concerns and domestic power: a good old military crisis is always the best way for a government to garner public support by displaying resolve in dealing with the threat – i.e. IS. An additional reason against more airstrikes is directly related with the fact that the bombings will not only create more problems than they will solve but also exacerbate the very problems that they are ostensibly trying to deal with. The refugee and humanitarian crisis will only get worse. And this is a paradox because at the same time that the European Union was striking a deal with Turkey in order to address the massive flows of refugees ending up in Europe through Turkey, European states were getting more engaged in the Syrian conflict thus intensifying the very problem they were trying to solve. Equally problematic was the American decision to invade Iraq as it fueled terrorism instead of defeating it. Military involvement in the form of airstrikes can be used as leverage and tactic for political ends, yet this does not constitute a declared goal of the Coalition. Therefore it only escalates the conflict as the parties with conflicting interests are stepping up their military operations. The downing of the Russian jet by Turkey was partly a result of this tensed situation and none can guarantee that something like this won’t happen again or that it won’t lead to a broader conflict. Lastly, it is well known that terrorism cannot be defeated with airstrikes. It is actually more likely that the phenomenon will become increasingly more common due to rising local anti-Western grievances. There’s a number of things that can be done which would probably prove more effective than airstrikes. Vienna Talks: More emphasis should be given to the Vienna talks as the primary venue for the resolution of the conflict, while the participation of the Syrian regime and the opposition should be considered. These are the main parties that should be heard and taken into account because their differences lay at the core of the conflict. If their considerations and interests are disregarded, any future effort for nation- and state-building will fail. A Regional Multileveled Initiative: Regional powers, such as the ones participating in the Vienna Talks, instead of Western powers, could contribute to such a dialogue as well as to the reconstruction of Syria and the stabilization of the country. They should be the ones to provide financial, political and technical help as well as take the lead in dealing with IS and other extremist or rebel groups. After all, without some kind of “troops on the ground” airstrikes will only be able to achieve ephemeral results and allow IS to regenerate itself or relocate to places such as the Sinai or Libya. Though it is highly unlikely that non-regional actors will not stay away, due to the interests at stake, further mingling of great powers will only prolong the instability. Track the money, already: One other thing that needs to be done is for the relevant states, authorities and security and secret services to track the money that reaches IS and cut off all of its lifelines. At the same time, they should crack down on the illegal oil trade, not only by bombing oil track convoys and oil wells but also by finding the individuals or organizations/states/companies involved. It’s not that the US or other European states don’t have this information. It’s that there is lack of political will to confront all those who trade illegally with IS since most of them are either Western allies (e.g. 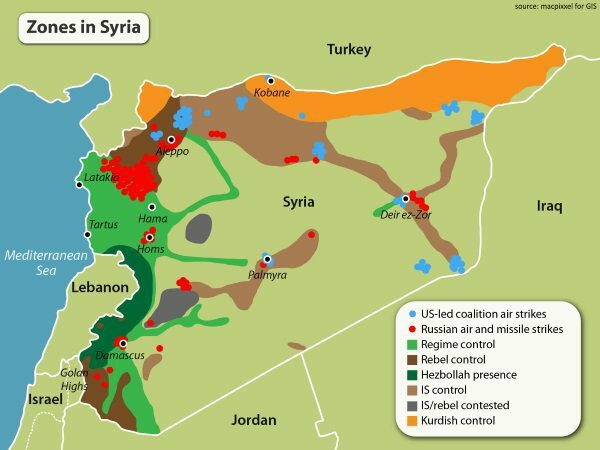 reportedly Turkey and Israel), or they are pro-Western rebel groups in Syria. Seal the Turkish-Syrian border: Finally, just like money and oil trade, the West seems to be turning a blind eye to one of the most important factors that allow IS’s sustainability; that is, they have done little to convince or push Turkey to apply more strict controls along its border with Syria, the main route jihadists use to join IS as well as to travel abroad potentially establishing networks with extremist clusters in other countries. Overall, I suggest that in absence of a comprehensive and multileveled strategy with clearly defined aims, that will include political, economic and social measures as well as a more complete military approach, air-strikes cannot be effective and, therefore, the “war on IS” will not be successful. They will rather brew more problems and destabilize the conflict beyond control. Zenonas Tziarras holds a PhD in Politics and International Studies from the University of Warwick, UK where he has taught World Politics. His doctoral thesis is titled, “Turkish Foreign Policy towards the Middle East under the AKP: a Neoclassical Realist Account.” He is a non-resident Foreign Policy & Middle East Expert for the think tank Strategy International, the Analyst on Security & Turkey for The Europe Levant Observatory (TELO) at the Diplomatic Academy, University of Nicosia, and teaches Greek-Turkish Relations in the Department of Social & Political Sciences at the University of Cyprus. He is the co-founder and co-editor of the online magazine The Globalized World Post as well as a frequent author and media commentator on Turkish, Middle East, and Eastern Mediterranean political affairs. He is also the Turkey & International Security Editor for Global Politics. This article was originally published at The Globalized World Post on December 3, 2015 under a Creative Commons Attribution-NonCommercial-NoDerivs 3.0 Unported License.